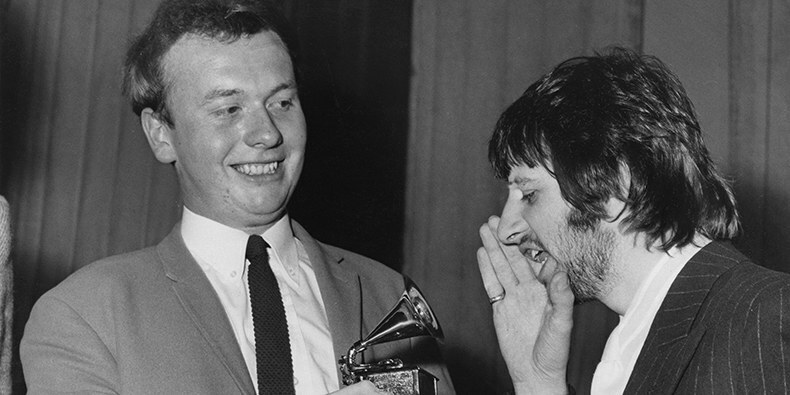 Geoff Emerick was in the right place at the right time- starting a job at Abbey Road Studios just days before The Beatles recorded "Love Me Do." By the time they began recording Revolver, Emerick had been promoted to engineer. It was up to him to make John, Paul, George and Ringo's creative dreams a reality in the studio, a challenge Emerick recounted in his 2006 book, Here, There and Everywhere. He went on to work on Sgt Pepper's Lonely Hearts Club Band, Magical Mystery Tour, part of The White Album and Abbey Road. Beyond The Beatles, Emerick worked with Art Garfunkel, Elvis Costello, Jeff Beck, Michael Jackson, The Zombies, Cheap Trick, Stevie Wonder and Wings. Emerick died October 2, 2018 at 72 years old. We revisit Jim and Greg's conversation with Emerick from 2006. For more from Emerick and his work with the Beatles, listen to our classic album dissection of Revolver. The last song on Revolver was actually the first one written. In December 1965, after a mind-expanding acid trip, John Lennon wrote what would later become "Tomorrow Never Knows." 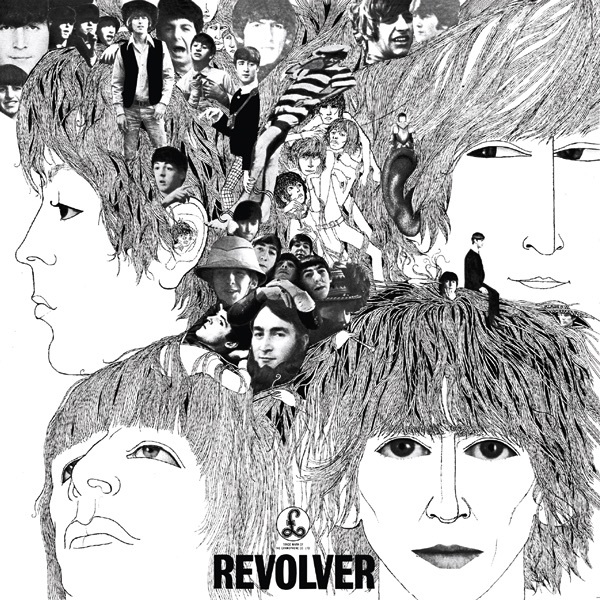 The completely unique four-track song, with its organ drones, backward guitar, bird calls, and megaphone vocals, perfectly encapsulates what Revolver was about: revolution. Geoff Emerick shares two facts about Lennon's lack of technical prowess. First, not being able to communicate how he wanted his vocals to sound technically, Lennon simply asked Emerick to have his voice sound like monks singing on a mountaintop. Also, the backwards guitar part was a happy accident. Lennon, not knowing how to run a reel-to-reel machine, simply loaded the tape backwards and liked what he heard. The interesting thing about this song is that it wasn't even released as part of the original Revolver album. It was the B-side of a single (paired with "Paperback Writer") that was recorded during the same session. EMI expected The Beatles to write and record not only an amazing album, but hit singles as well. Jim recommends fans burn their own complete Revolver with the addition of these singles. Geoff Emerick's description of recording "Yellow Submarine" is one of the most entertaining in his book. The session was attended by a raucous group of notable guests including Mick Jagger, Brian Jones, Marianne Faithfull and Patti Harrison. In the middle of recording, Lennon decided that he wanted to sound like he was singing underwater, and in fact, suggested that he do just that. Out of desperation, the engineer agreed to try it, and placed the microphone in a milk bottle filled with water. In order to protect the microphone he used a condom provided by longtime Beatles roadie Mal Evans. Emerick was really innovative in how he recorded different instruments. This is particularly evident on this song, written by Paul McCartney, which incorporates an eight-piece string section. In fact, none of the Beatles actually played on "Eleanor Rigby." In order to get the best possible sound, Emerick placed the microphones just inches away from the two violas, two cellos and four violins. Beatles fans are so used to this song that it's hard to imagine what it would be like to experience it for the first time in 1966, let alone on the same record as traditional-sounding rock songs like "Good Day Sunshine" and "Got to Get You Into My Life". Revolver marks significant growth in the band's sound, as well as for the individual Beatles. George Harrison really matured as a songwriter on this album, which has an unprecedented three songs written by him, as opposed to chief songwriters Lennon and McCartney. While Harrison is often thought of as the more transcendental Beatle, Jim notes that "Taxman" expresses a very normal, earthly concern: paying taxes. While Harrison grew as a songwriter, Emerick admits that he still struggled with the guitar during some of the recording of this album. After wrestling for almost nine hours with the song's famous guitar solo, the part ended up being handed over to Paul McCartney, who hit it in on the first take.